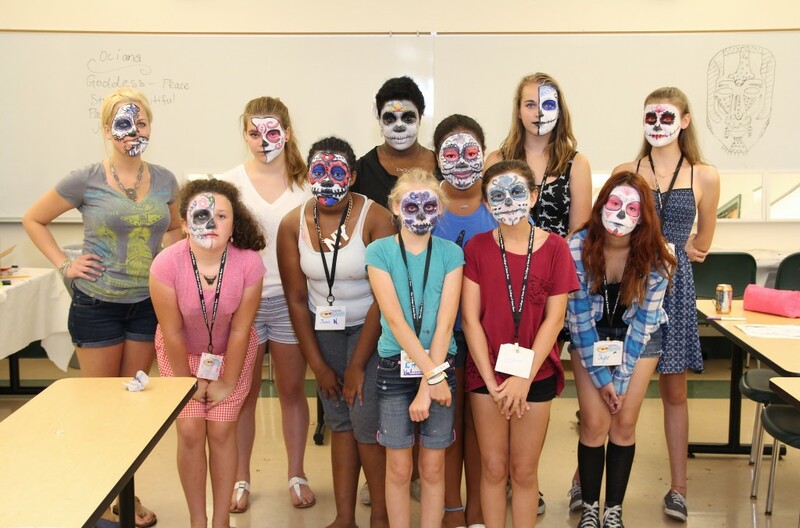 Good to Know: Summer Academy ’15: Serious learning made fun. According to John Hunter ‘00, G ’02 program director of The College of Saint Rose Summer Academy for Youth, the key to the Academy’s success is to make the learning fun and take chances with the curriculum. The undead: With the right makeup, the most innocent looking young people can transform themselves into the walking dead. That was the goal at the Summer Academy’s makeup design class. 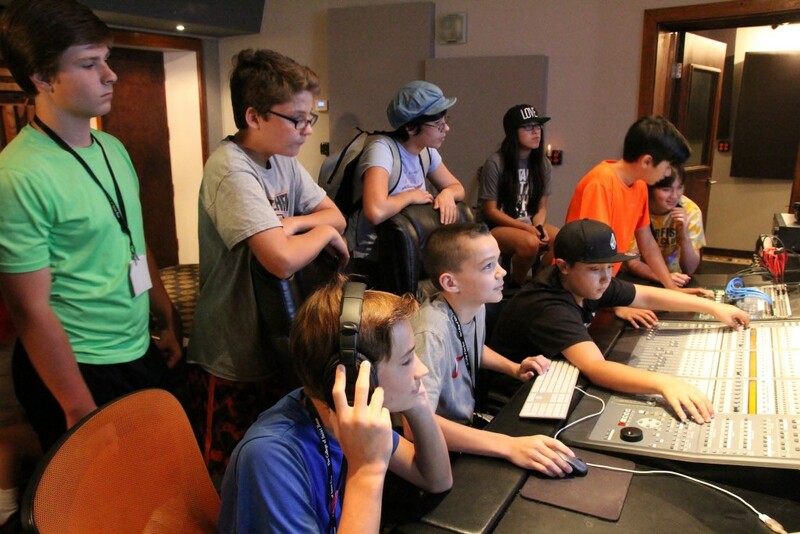 No garage bands here: Instead, students in the Summer Academy’s new music engineering and recording class tried their hands at Overit Studios’ state-of-the-art equipment, recording a live band just way the professionals might. 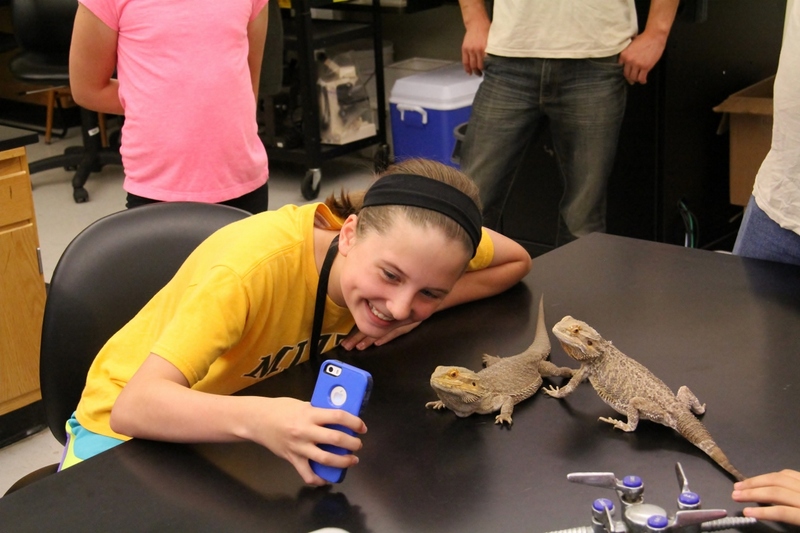 Reptile selfie: In place of a textbook, students in the Summer Academy’s veterinary medicine class welcomed numerous guests, including dogs, cats, rabbits, snakes and these not-camera-shy bearded dragons. How’s this for a final exam? 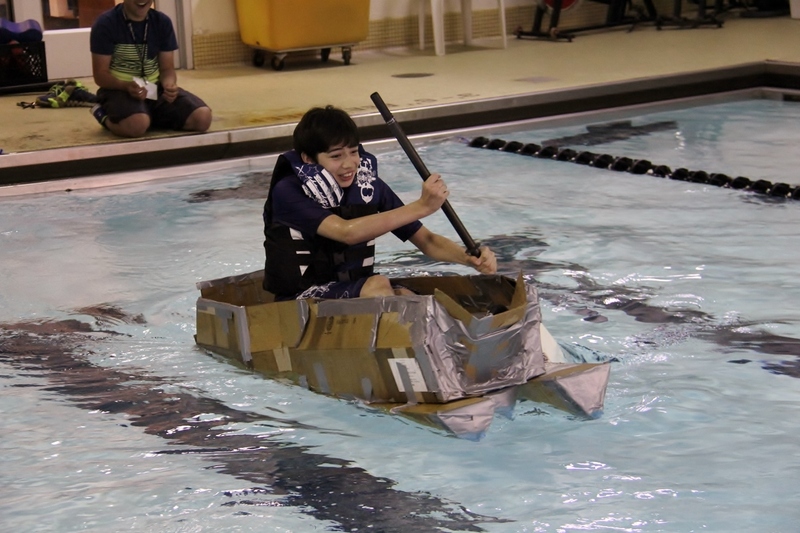 Students in the Summer Academy’s new naval architecture class learned principles behind shipbuilding and then tried them out, using duct tape and cardboard to build four boats. Shown here is one of the two that made it across the College’s pool.